Invisalign is a unique process for correcting the position of teeth using clear plastic aligners. These aligners are made by computer from very precise impressions of your teeth. The tooth movement is incorporated into the aligners, so that each aligner is slightly different from the previous one. Each of the aligners is worn for a period of one week, 20-22 hours per day. The final position of the teeth is based on a digital simulation of the treatment established by your orthodontist. Dr. Rizkallah spends several hours adjusting these simulations and uses all his expertise to ensure the treatment plan. Invisalign offers an alternative to brace that is aesthetically pleasing, comfortable and convenient. The aligners are thin and their contours are rounded. And the adaptation time is very short. Aligners are removed for eating and cleaning of teeth. As aligners can be removed, no changes in hygiene techniques are required, as opposed to traditional braces that increase food retention. Maintenance of the aligners is done by brushing and rinsing them with warm water. Do not interfere with speech. WARNING : It is not recommended to smoke when wearing your aligners as it may stain or discolour them. It is also not advisable to chew gum when you have aligners in the mouth. Following impressions and other diagnostic data, the treatment plan is confirmed by the orthodontist and all material is sent to Invisalign. A simulation of the teeth movement is then created and routed to the orthodontist for analysis. Dr. Rizkallah then modifies the virtual treatment and ensures that he or she meets the expectations of the treatment. Once the simulation is approved, the aligners are manufactured and sent to the clinic. 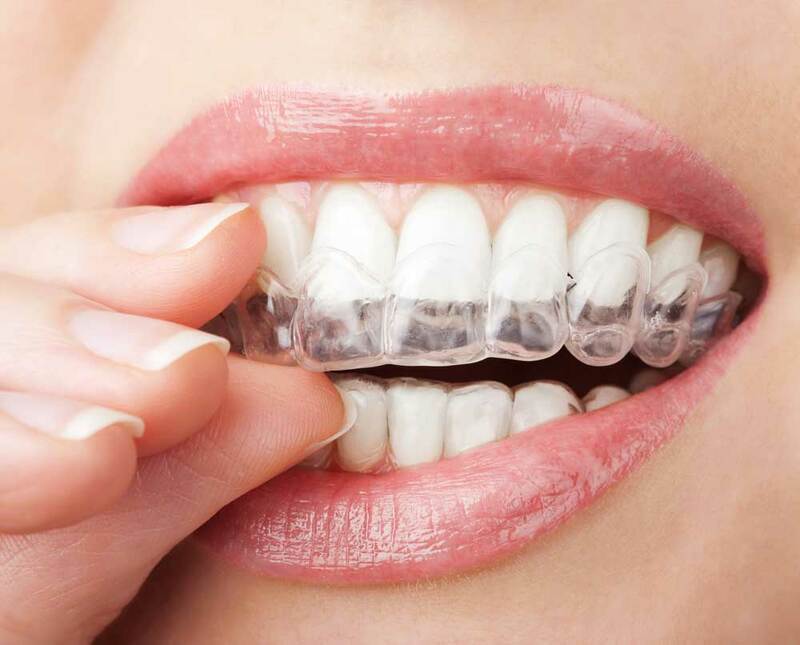 The aligners are then delivered to the patient with all the information related to their wear and maintenance. Dr.Rizkallah will see you every 6 to 8 weeks to ensure the proper progression of the treatment. Invisalign now enables more dental movements to be performed and allows more complex problems to be corrected. Only a consultation with Dr. Rizkallah will determine if you are a candidate for this type of treatment.